Although some of today’s crossbows look like they came from the future, they are dated back as far as 5BC in Eastern Asia. Since then, there have been many different types of crossbows developed for various tasks such as target practice, hunting, ocean life tagging, and even whale hunting. But in this article, we will be talking about the different types that are designed and developed for wildlife hunting. The different designs of bows that are available for purchase in today’s market all serve a different purpose based on the features that they have included. Even if you decide that one kind isn’t right for you, it is best to be informed to make the best buyers purchase. 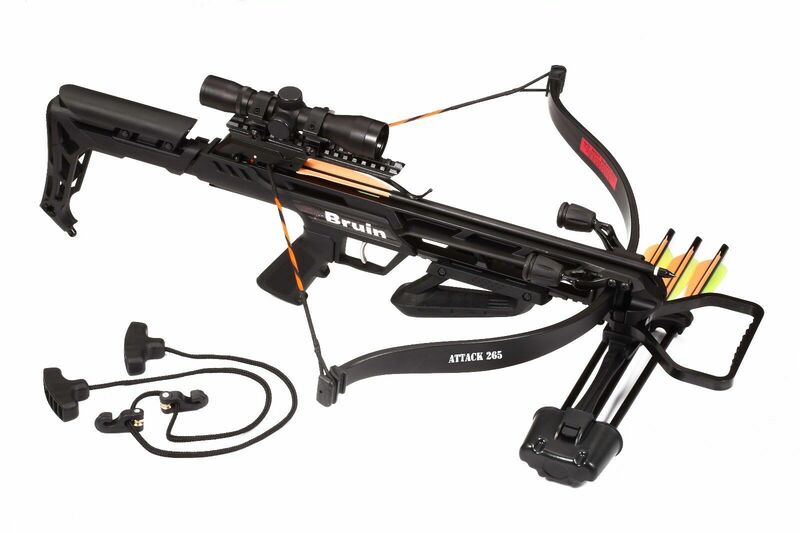 The compound crossbow is arguably the most popular among many other types. Not only does it perform well, but it can also be purchased at a very reasonable price compared to others on this list. Many say it is the best bang for the buck. One of the many benefits is how durable and versatile many of the brands are. The compound bow is perfect for hunters as you have nothing to worry about if it gets muddy or wet while hunting in the woods. These crossbows are usually made out of a synthetic material that makes it hard to be damaged or broken if dropped. Although they might not be the lightest in the world, they are a great medium. The way this crossbow operates is with a pair of cams that are connected to a dual-limb system. This type of limb system is great as it reduces vibration when fired and also keeps the recoil to a minimum. With the use of cams, it makes it noticeably easier to draw back. 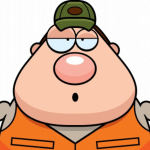 When you are ready to shoot a crossbow, you pull the string back until it locks into the firing mechanism. When doing this, the limbs flex and builds up a substantial amount of energy for when it is fired. Due to the short drawback, it’s easy for almost anyone to prime the crossbow. Even though this type is the most popular, it does come with a few downsides that you should be informed about. As I mentioned earlier, they are not the lightest types on the market today. With the use of material like carbon fiber, companies have been able to get the weight down to almost nothing on other types. After much use, there is a chance that the string will start to decay, frey, or even snap. With proper care and the use of string wax, that should never happen. When the string needs replacing, you are required to use a special tool to accomplish the task. Many find it easier and safer to take the crossbow to an authorized dealer to do this. Just like any type of bow, dropping it repeatedly will affect the accuracy and life of the crossbow. Dropping it every once in a while should be fine, but for obvious reasons, it’s not recommended. The next type of crossbow on our list is considered to be very similar to the ones that were first made in Asia. Even though they have some visual similarities, they have come along way to where the design is today. The name “recurve” was influenced by the curvature of the crossbows limbs, but mostly because of the end that points toward the target. The curve at the end is a crucial part as it helps keep the crossbow string in place and prevents it from going where it shouldn’t. This helps provide safety for the user and longevity of the crossbow. Today, many recurve crossbows are made out of Aluminum alloy. Some brands also use Magnesium or carbon fiber to help with weight. Unlike the compound bow, this type has a longer draw back. This might seem like an inconvenience to some, but this creates more acceleration for the bolt at a sacrifice of increase noise and recoil. 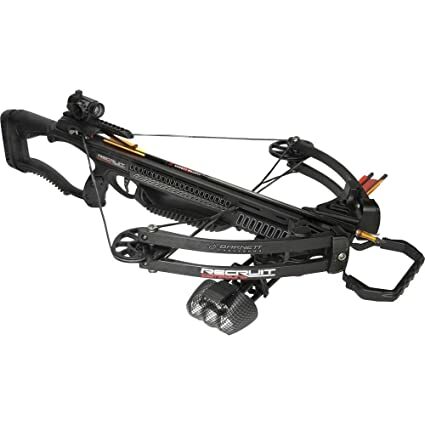 This type of crossbow is more commonly used for when hunting larger game. The longer draw back grants the ability for long-range shots with a punch to do the well-needed damage to the target. Like all types of crossbows, this one has some cons to be aware of. The biggest complaint from recurve crossbow users would be the short life span of the string. Since it is constantly under more pressure, it tends to reach the point of replacement more frequently. There is always an option to start using high-quality strings, but this comes with a price. With the recurve bow being larger in size, this results in them being heavier and sometimes a hassle to carry around during your hunting expedition. 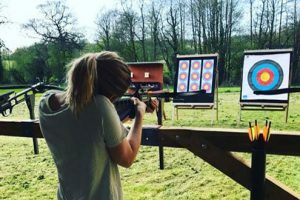 Being one of the most modern types of a crossbow, the rifle crossbow combines the use of the normal crossbow, but with the added benefits of a rifle to offer the highest tech crossbow for hunting. As a rifle, this crossbow’s most impressive feature is its accuracy. Because of the enhanced sights, fiber-based frame, and dead silence, targets can be hit up to 250 feet. Unlike other types of crossbows, its width is one of the most loved features. Since they are far narrower, it gives the user an option to take shots and venture through rough terrain as where a compound crossbow would cause struggles. Along with the rail system that is offered which fires bolts at incredible speeds, the velocity is not to be matched. The only downside that comes with this type of crossbow is it’s complex and sometimes difficult. 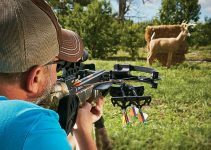 If you are wanting to achieve the incredible velocity that you can get from one of the best crossbows, this is seen as a small price to pay. 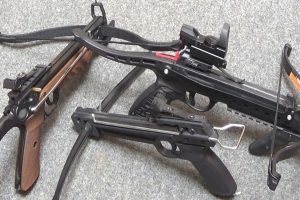 In this article, we mentioned the 3 most popular types of crossbows. This does not mean that others do not exist. If you are interested in other types, I’d recommend speaking with your local crossbow dealer to find the best fit for you.